GUEST POST: Beetlemania! | Because two men are better than one! Today we are joined by Anna Butler. She’s just released a new book from Dreamspinner Press called The Gilded Scarab. It sounds awesome. Congratulations, Anna! 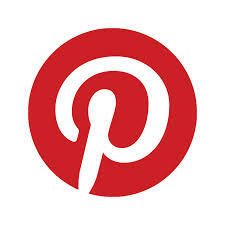 Check out her guest post below. There’s also a great excerpt and a giveaway. You know, being a writer is awesome. It means you get to take half a dozen things you love—beetles, jewellery, Egyptology, coffee, steampunk, two (or three) drop-dead gorgeous men who are hot as hell for each other—and you get to play with them. Your own little theatre players acting the story that’s in your head, the one that’s bursting to get out, and you get to take all those things you love, shake them up and, if you’re lucky, your story comes to life in your hands. I love beetles. They’re the little gems of the insect world, their bodies showing an astonishing range of colour and pattern, often in rich, jewel colours: ruby red, sapphire, a glorious emerald green. Okay, the dull black sacred scarabs of Egypt maybe don’t quite fall into that category, but they have deserts and pyramids on their side instead. They’re emblematic of sand, the Nile, and skies that are the colour of beaten copper at noon—mysterious, a symbol of the romance of ancient Egypt. I can forgive them for being a little dull to look at. Victorian jewellers, though, didn’t let them stay dull for long. We all know that Art Deco in the 1920s went wild with Egyptian motifs after the discovery of Tutankhamen’s tomb. But Egypt had been fashionable long before that, right back to the Battle of the Nile in 1798. For the first time, Europe woke up to the fact that Egypt, that strange narrow land, actually existed and went mad on things Egyptian. Furniture, clothing, jewellery, even buildings. They were all influenced by what explorers were discovering along the Nile. Jewellers didn’t lag behind. They created everything from pendants to tiaras using Egyptian designs and, sometimes, even the wing cases and hard bodies of scarab beetles. Rafe’s Gilded Scarab, though, isn’t as naturalistic as that. By the turn of the 20th century, scarab watches were a fashionable item to have. These are exquisite, made of enamelled gold embellished with jewels, with the wing cases opening up to show the watch face. Watches like this are perfect for archaeologists, especially Aegyptologists. You can understand why they’re a perfect gift for Daniel Meredith to present to fellow Aegyptologist Ned Winter, and to ex-pilot Rafe Lancaster when Rafe buys a coffee house. Rafe’s watch is made with wings of scarlet enamel picked out with diamonds, much as this one here. In the image here, you can see how detailed these watches are, complete with the legs on the underside. 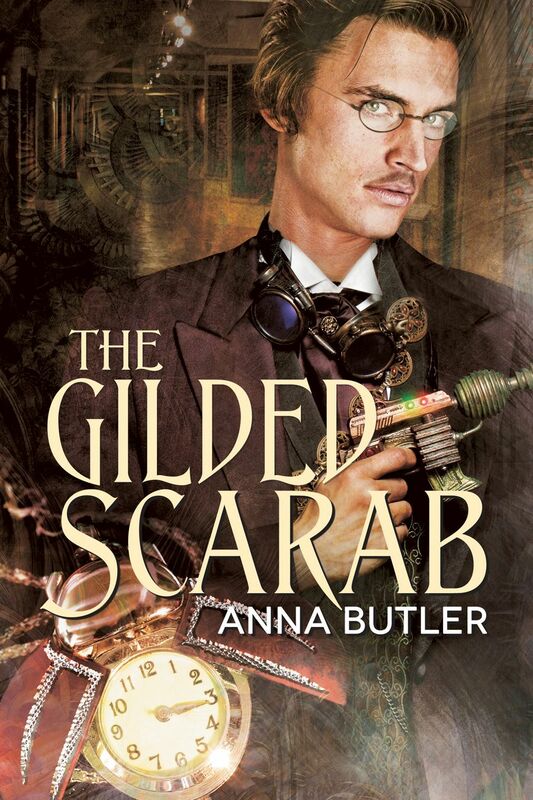 As for steampunk… well, let’s just say that the scarab is important there. Too important to give away here. But to keep the link with the scarab watch, the excerpt below recounts how Rafe met Daniel, the man who was later to give it to him. The lounge was crowded that evening. The pre-Christmas rush, I assumed, when gentlemen made merry before being clasped to the bosom of their families, when they would infinitely prefer the bosom of the handsome waiter at their club. I didn’t begrudge the festive cheer, but had to push my way through to the bar. Really. In any well-ordered universe, the crowd would have noticed me and my fine clothes at the door and parted to make way for me, like the Red Sea. A scotch and soda did a great deal to restore my equanimity. Indeed, I grew a trifle beatific, since all I’d had to eat since breakfast had been some of Will Somers’s pastries, and the scotch didn’t have a lot of insulation to work on. I wasn’t festive, you realize, merely a little mellow. So when the tall man in natty evening dress bumped shoulders with me, I merely moved to get out of range rather than apostrophize him as the clumsiest oaf in Christendom. He was older than me. A good ten years at least, but his brown hair, brushed back from his brow in true aesthete style, was untouched by gray. His eyes were the bright mauvish-blue of flax flowers, framed by eyelashes of extraordinary length and thickness. I suspected him of some sort of artifice there. Those eyelashes didn’t strike me as quite natural. But everything else appeared to be the genuine article, and if he were indeed in his early forties, as he appeared, he had worn well. He wore his daisy on the left of his lapel and perhaps his acquaintanceship would be worth cultivating. He threw back his head and laughed. Mmmn. It hadn’t been that amusing, but perhaps it passed for wit where this man normally existed. Did he think he might have the opportunity to sate himself in me, then? We’d see. “Scotch and soda, thank you…?” I allowed my voice to lift and trail away on an interrogative note. “Daniel Meredith,” he supplied, half turning away to try and catch a waiter’s eye. He turned back to me and smiled, and suddenly it wasn’t merely a polite platitude to ease along society’s wheels. I was rather pleased to meet him. I could have done a lot worse. Click here to enter the Rafflecopter to win an Amazon gift card (drawn when the blog tour is over at the end of March). You will need to leave a Comment here. In addition, one commentator will be chosen at complete close-eyes-stick-a-pin-in-it random will get a little pack of Gilded Scarab loot and a free copy of FlashWired (a gay mainstream sci-fi novella). I haven’t had a lot of opportunity to read steam punk stories. This sounds interesting and the cover calls to me. Thank you for the post and giveaway! Hi, HB. The cover is gorgeous, isn’t it? Reese Dante designed it, and she captured Rafe perfectly. That is now exactly as I see him. The Mummy did give scarabs a bad press! I picked one up once – long before The Mummy film, because I’m not sure I’d have dared if I’d seen that first. My husband and I were on honeymoon, and this was out in Sakkara, near the Step Pyramid. There were dozens of scarabs running about near a tomb. They’re really quite big beetles and their legs tickled. The stick-a-pin-in-it method picked you for the little bag of swag. I’ll be in touch. I’m about 2/3 of the way through the book and I love it! Of course, I’m an Egyptophile from childhood, so I had to buy it when I read the blurb. I’m glad you’re enjoying it, Susan. I share your love of Egypt and the best holiday of my life was our (delayed) honeymoon when we took a tour down the Nile, where we saw all the main sites. Wonderful time, and very humbling to see the temples and tombs and realise how long they’d stood there.